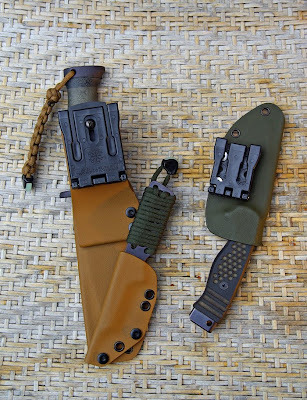 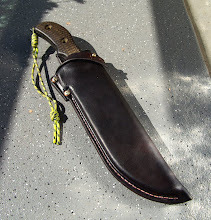 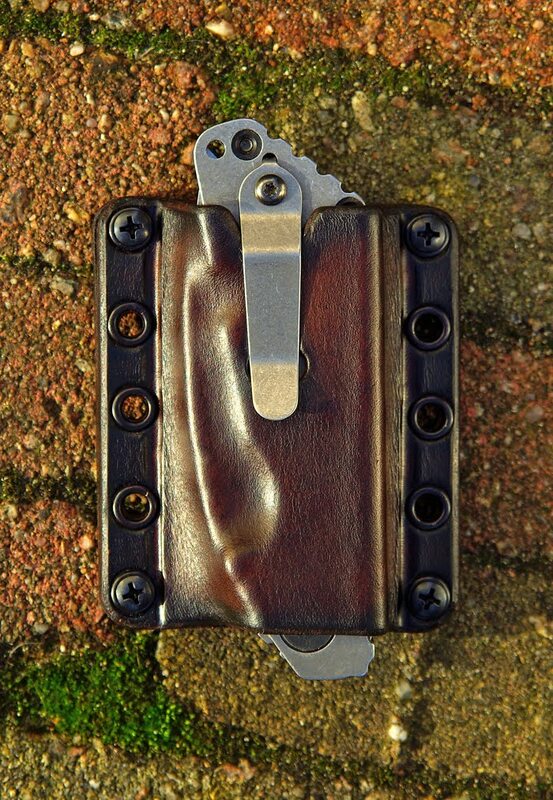 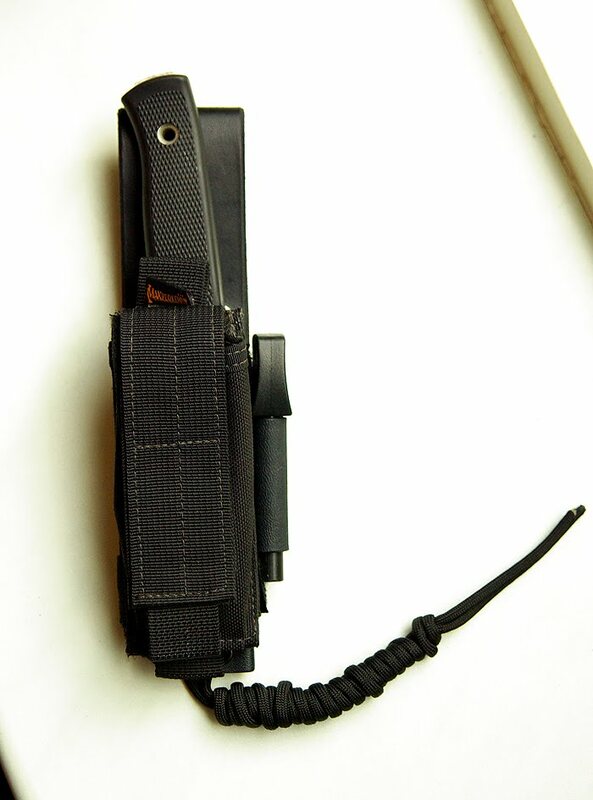 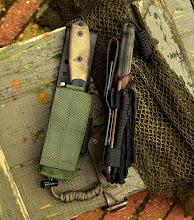 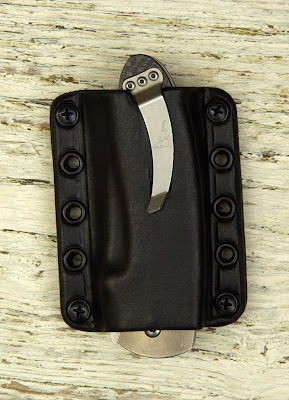 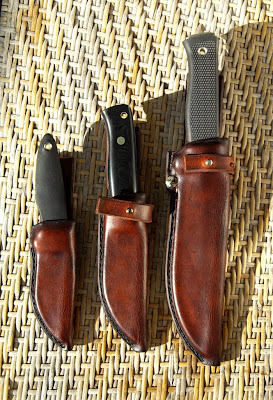 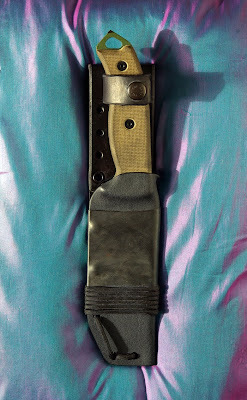 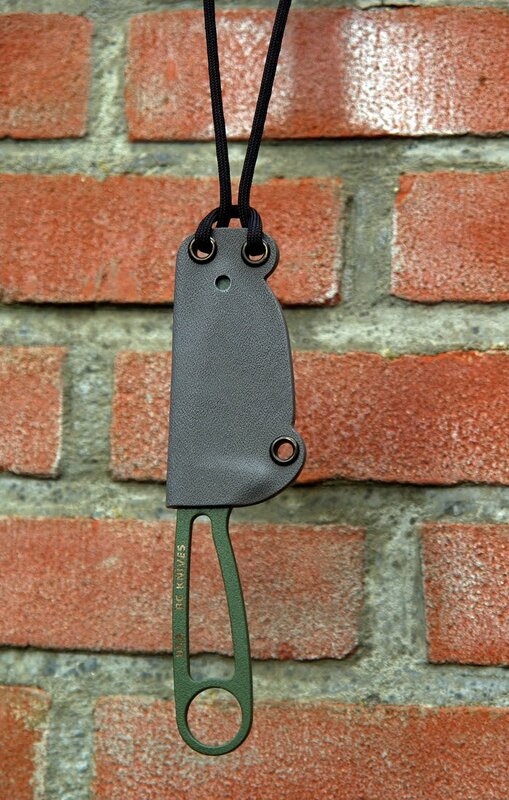 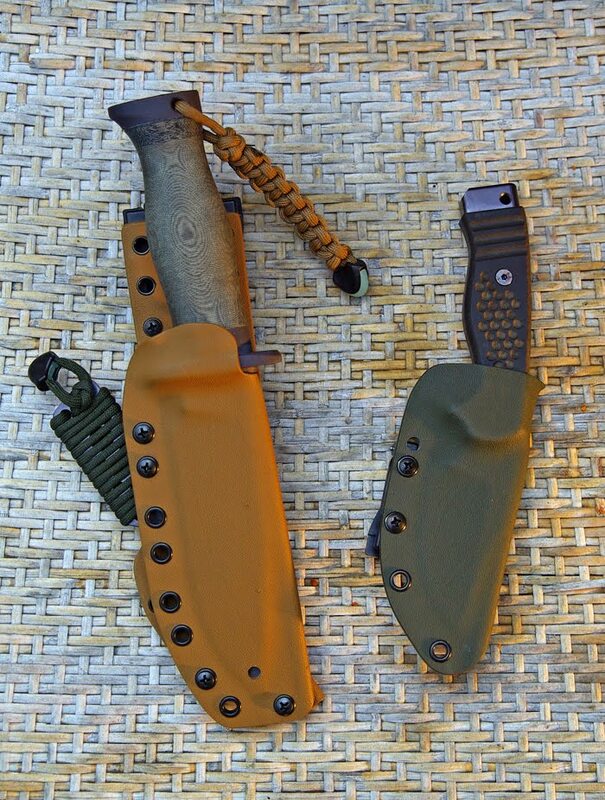 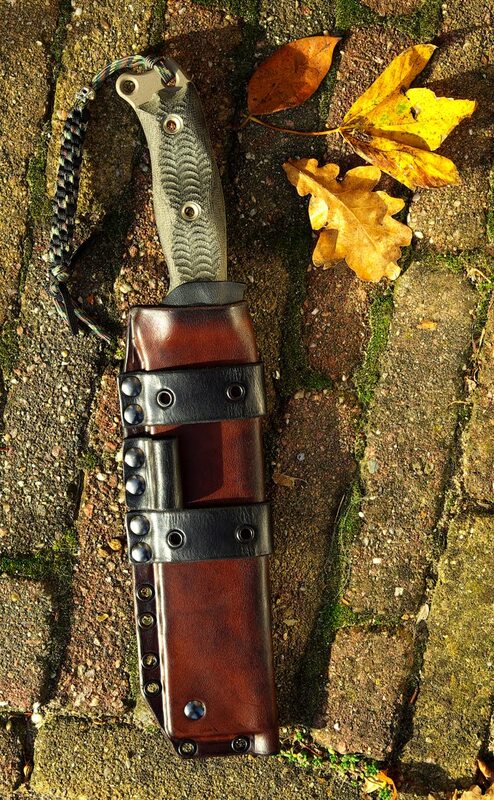 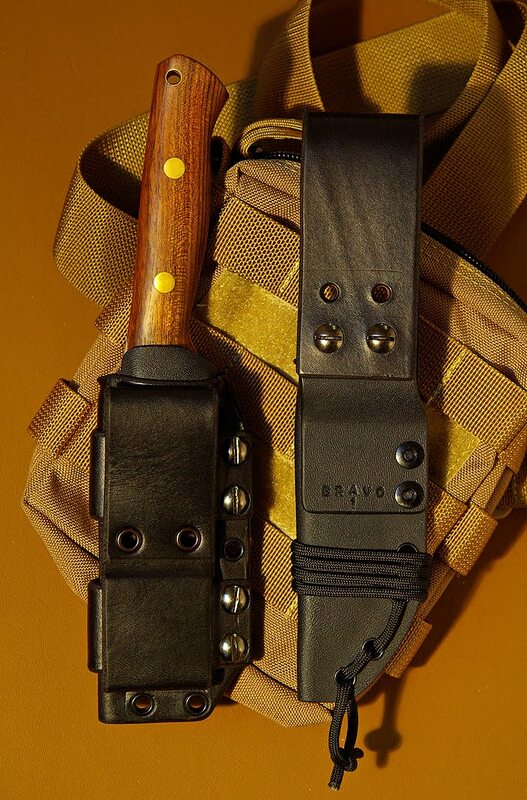 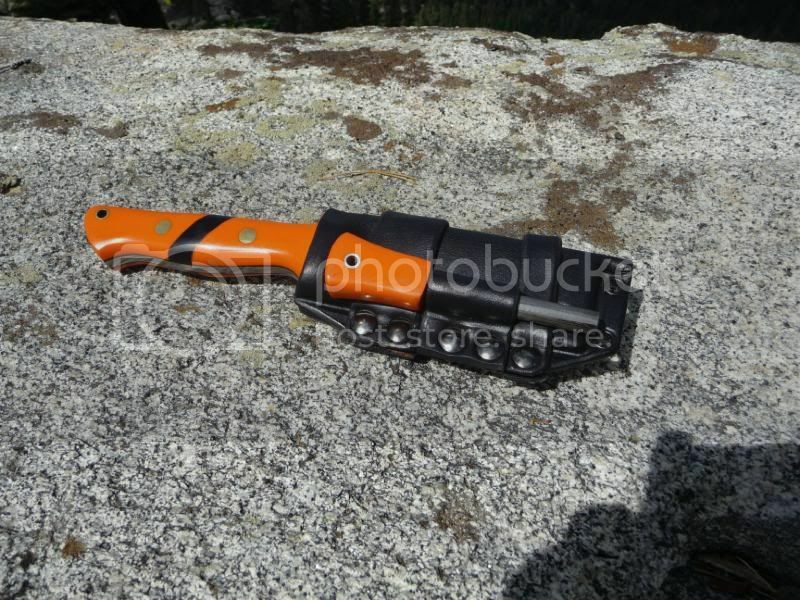 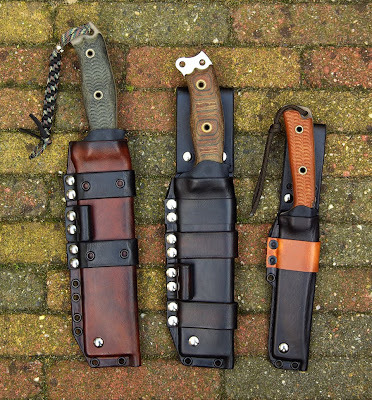 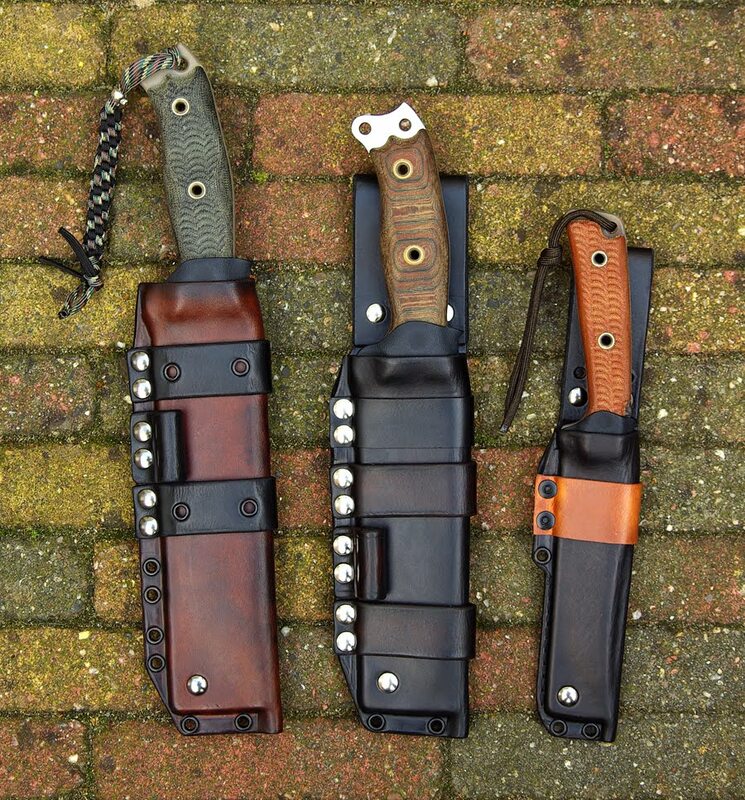 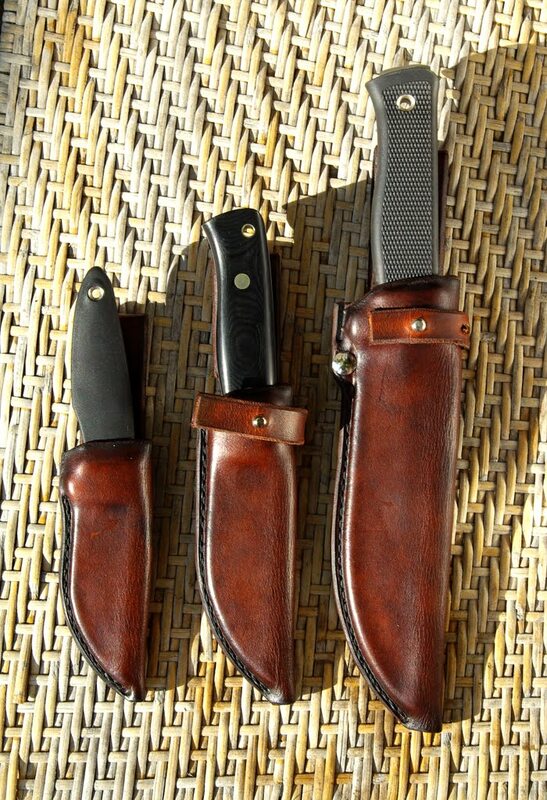 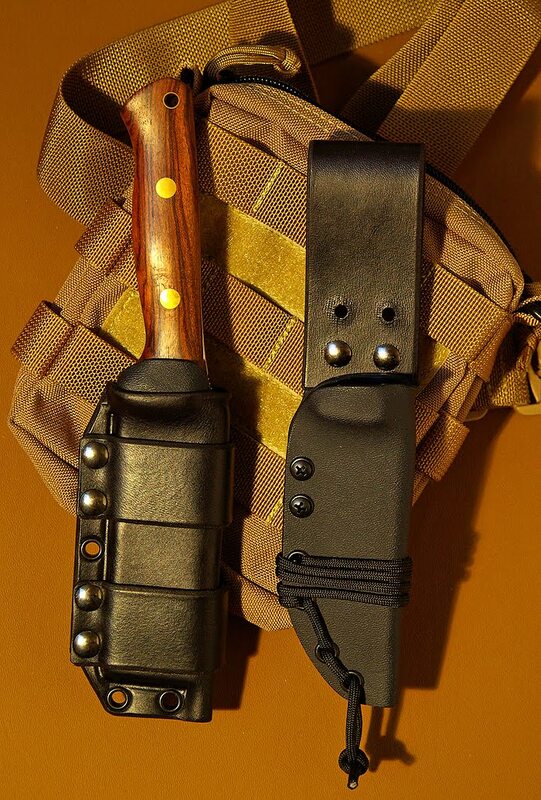 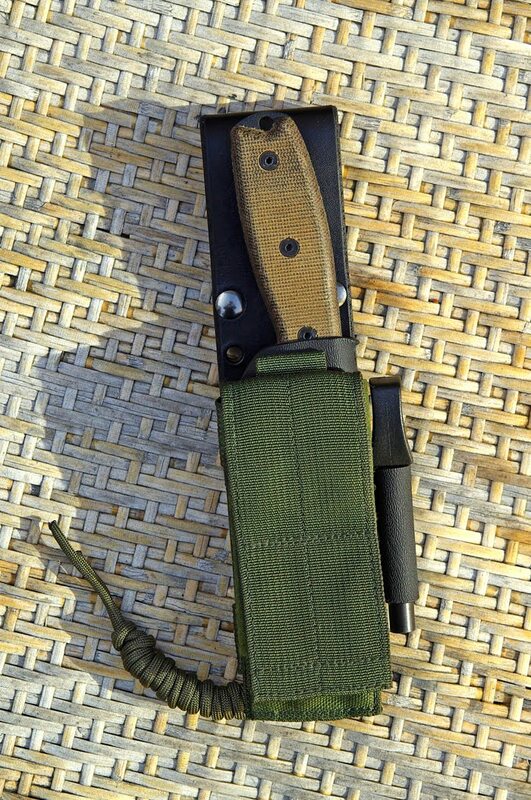 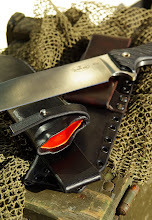 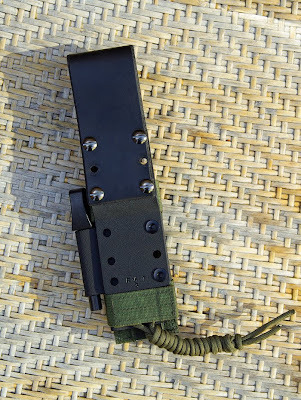 The technical Bushcraft model and one in 0.093" Kydex..
One for the NMSFNO. 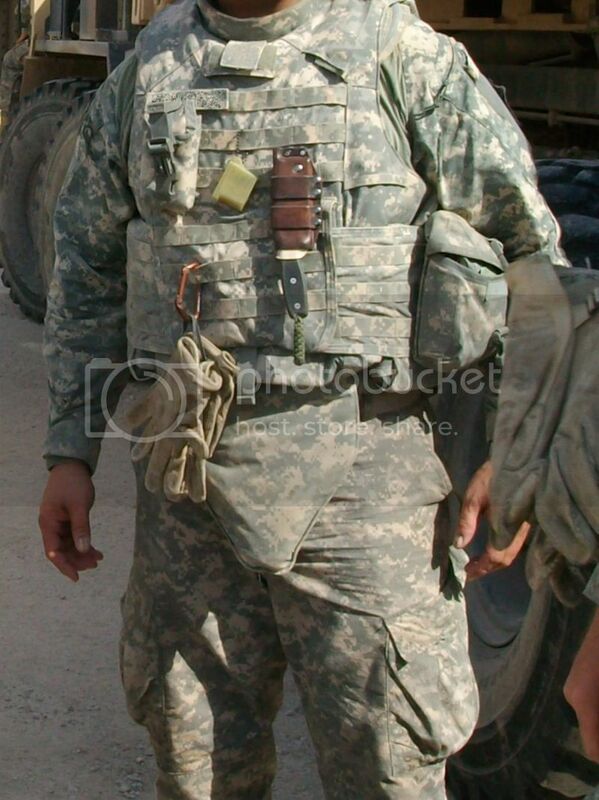 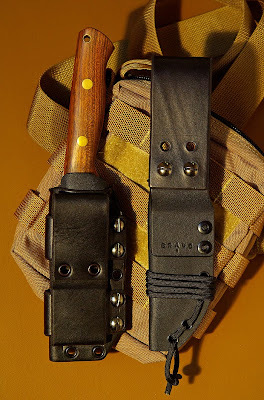 The straps will take large Molle Loks. 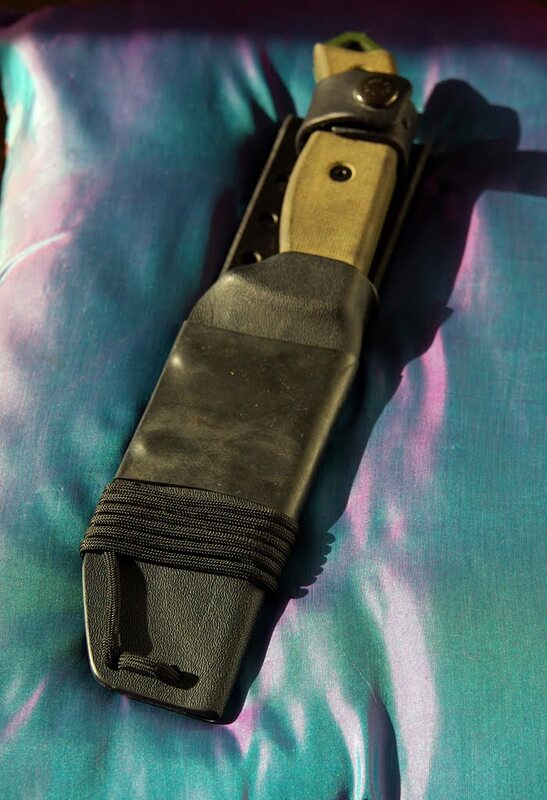 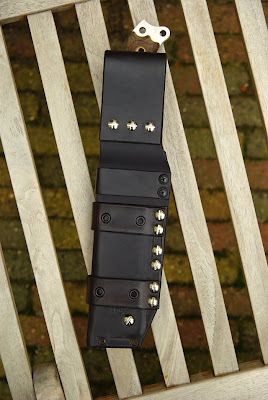 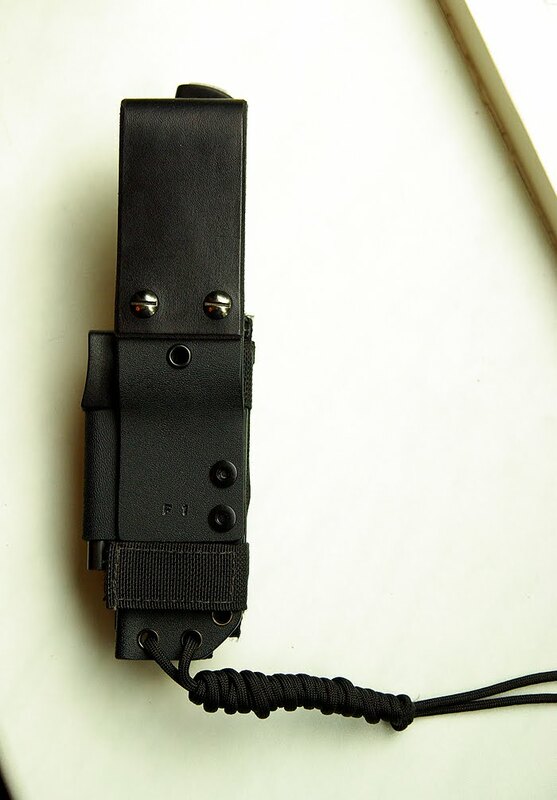 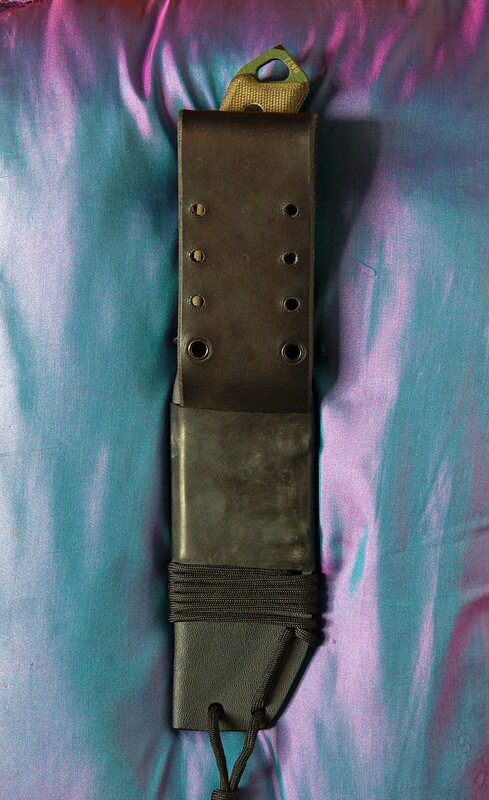 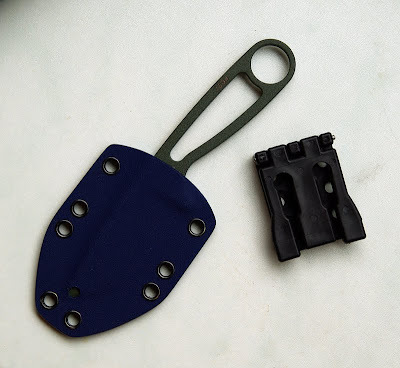 The backplate can be removed to wear IWB or for high carry on a teklok. 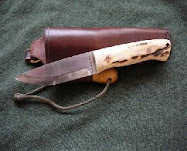 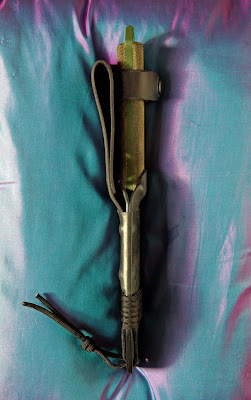 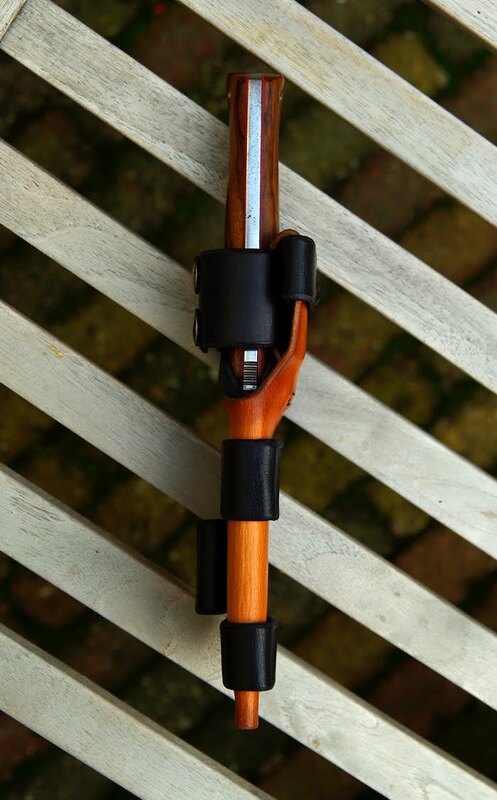 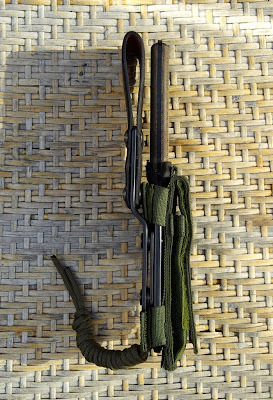 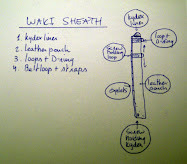 Large version of the Technical Bushcraft, with a droploop. 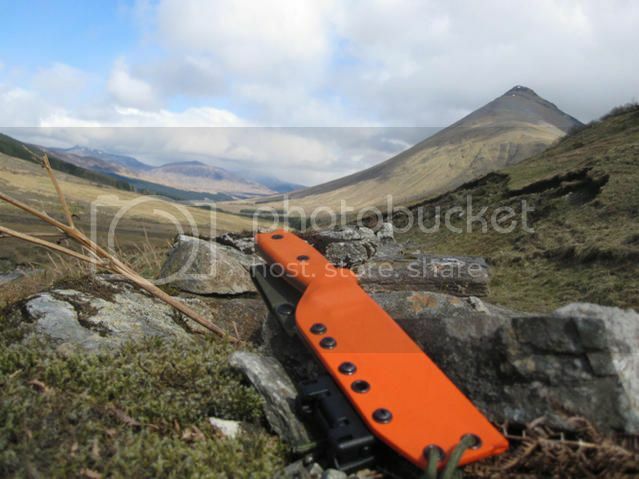 The backplate also takes a Teklok, and the horizontal carryloops take the large Molle-Loks. 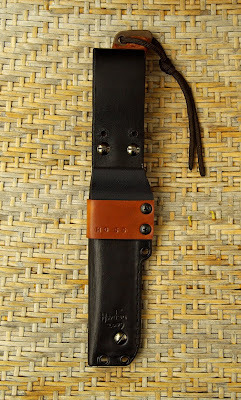 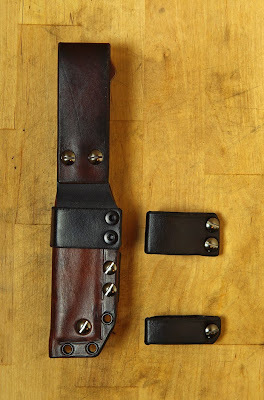 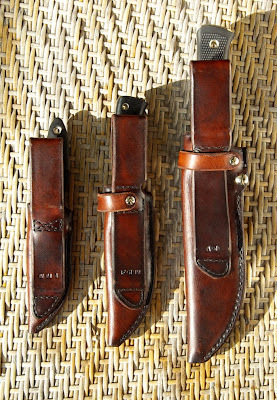 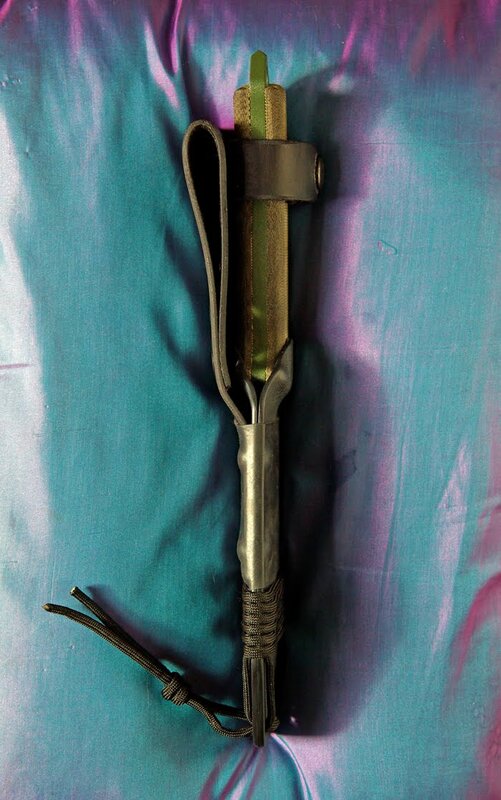 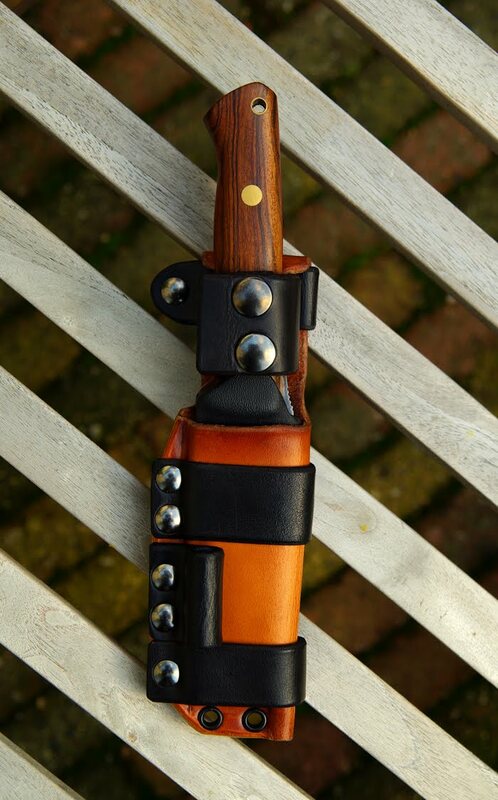 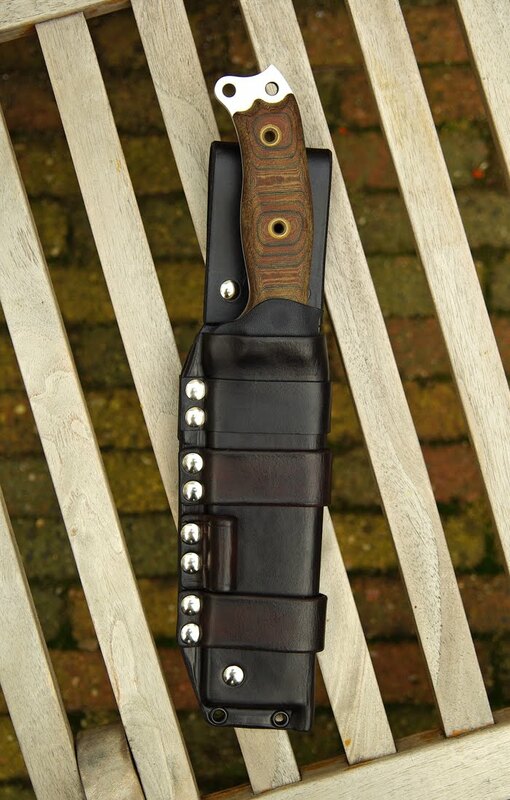 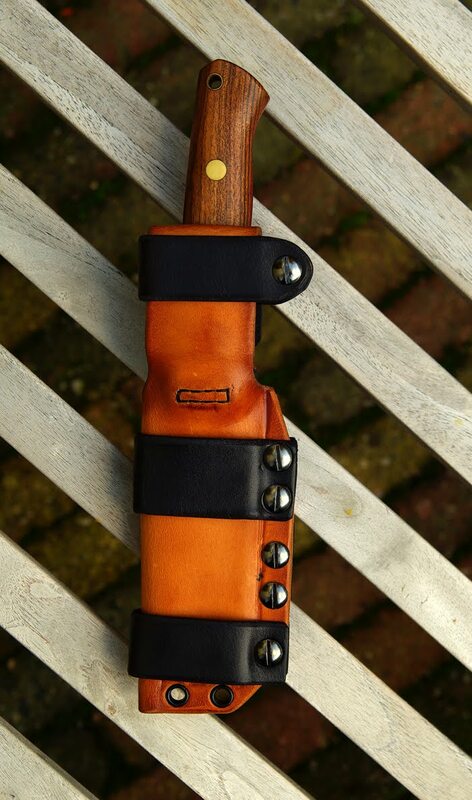 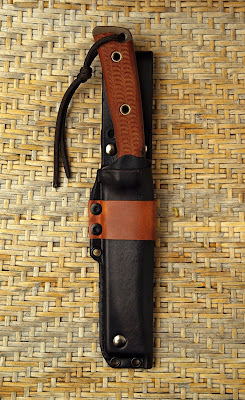 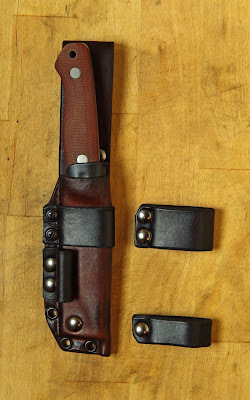 This sheath is screwed shut, and can be reopened for cleaning. 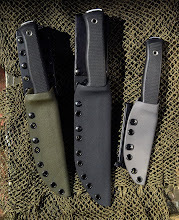 I hope you like them .. 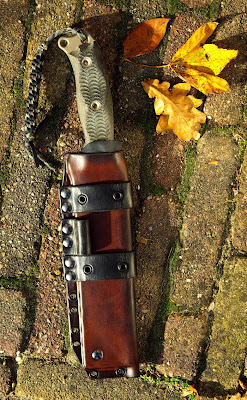 The next update will be extra interesting as I'm working on some very nice projects right now..